The Travel Bride Series: Why Settle For One Special Day When You Can Have Five? You know how sometimes you come up with an idea and it just totally feels right? You stare at it from every angle and it’s a perfect newborn. 10 fingers. 10 toes. Dimples. That’s how Travel Boyfriend and I felt about our decision to get married in Bali. For about 18 hours anyway. Roughly the same amount of time it took to call and share the news with our first family member. In this case, TB’s mom, a saintly woman who deserves to feel no sadness in life. TB started off gently. He spoke of high wedding costs. He mentioned our desire to accelerate the timeframe. And then he mentioned Bali and wedding in the same sentence and his mother’s heart shattered into pieces. No big ceremony? No family? No gown? No matching her dress to my wedding colors? After the phone call, Travel Boyfriend came into the living room to announce that his mother was crushed. To be honest, it never occurred to me that his parents would care. He’s a boy. No one ever said boys’ parents care about these things. After hours of internal discussion and days of silence from TB’s mom, we came up with a solution that, although a bit gangly, seemed to bring peace to the Travel Boyfriend household. Travel Boyfriend and I will have a non-legal Balinese Blessing Ceremony involving all the ritual and pomp and deep meaning that we were originally hoping for. This will be our actual wedding day and we will celebrate our anniversaries (may there be many) on this day—Halloween, so we don’t ever forget!! Travel Boyfriend and I will have a legal ceremony upon return to the U.S. with just our parents the day before Thanksgiving. Originally conceived to take place in the Butte County Clerk-Recorder’s Office (Mmm, smell the romance), we decided to splurge and find a gazebo somewhere up around Chico, CA. Travel Boyfriend’s extended family will come to visit the day after Thanksgiving to help us celebrate and to meet my parents. Travel Boyfriend and I will fly out sometime in January to Cleveland, OH to have a tastefully small luncheon for my family and friends of my family. Travel Boyfriend and I will have a totally fun, formal reception in San Francisco at the end of January with our friends. Not only does this new schedule of wedding activities allow us to hit all the major family and friend food groups, it allows us to celebrate for a full three months! And since we won’t be asking the same people to come to all of the events (aside from ourselves), it won’t seem like it’s dragging on and on for everyone. Plus, this newly devised plan should come in at a whopping THIRD of the cost of our original one day/30k option. Not bad for two kids in love! Yay for multiple weddings! We managed to have both our weddings just a couple days apart, yet a couple years apart, so we get an anniversary long weekend now, from June 22 to June 25. We needed to have a quick legal ceremony and our moms wanted advance notice to fly across the country and join us. It was getting too stressful so we just woke up one morning and went down to the courthouse with some friends. It didn’t occur to us we’d hurt our moms’ feelings (that will teach them to raise such independent kids!) so we took 2 years to plan the big family wedding that took place in June. That’s a great solution, Stephanie. I love hearing all the stories of people doing things their own way! 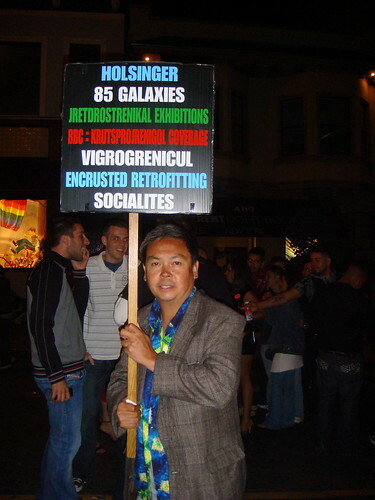 i think it would be fantastic if you get frank chiu to perform the ceremonies.